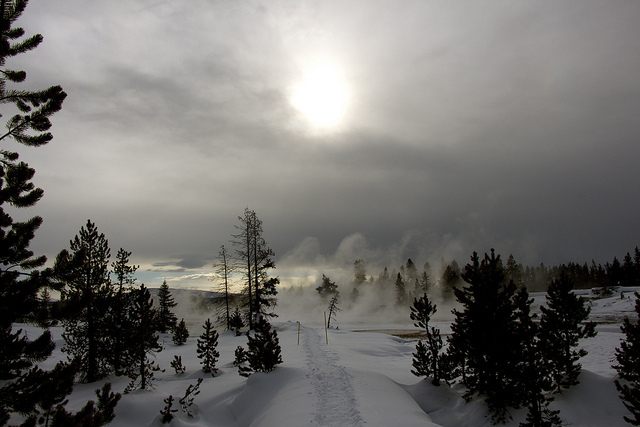 Steam and Snow, a photo by Rob Finlay Music on Flickr. West Thumb Geyser Basin. Yellowstone National Park.